2.Line a baking tray with grease proof paper and spray with spray and cook. 3.Sift castor sugar, cocoa powder, flour and baking powder. 9.Serve with ice cream and berry coulis. 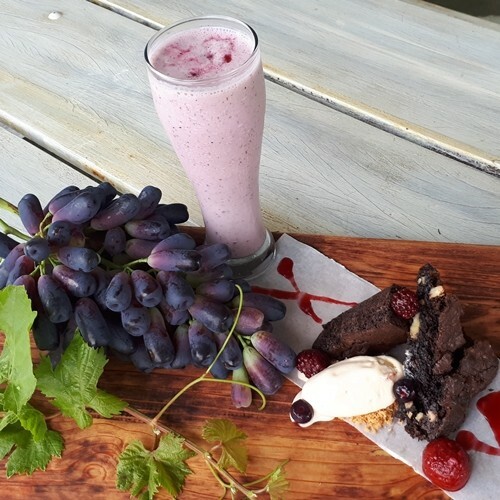 Chocnut brownie with home-made vanilla ice cream and The Well’s Berry Smoothie.